This interview with JessieAtHome is from April 2016. 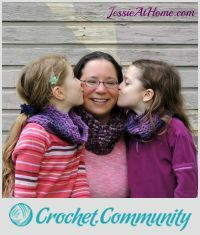 I’m a crochet and knit designer and blogger, a mother of 8 year old twin girls, and wife to a wonderful man. I love being creative and having a profession that allows me to stay home while being creative is perfect for me. 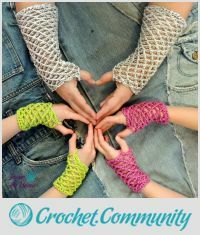 I learned to crochet from my great grandmother when I was 8. I always loved it. I fell in love with costume design as a teenager, and earned a BFA in costume design after high school. I worked as a costume designer and costume shop manager for a while, but then I fell in love and eventually found myself a stay at home mom in NJ. 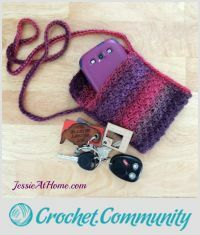 I had a blog to share stories of my children and eventually it morphed into what Jessie At Home is now – mostly crochet and other yarnie posts. It has been a fun journey, and I can’t imagine being happier doing anything else. That’s a hard one. 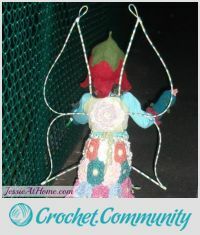 I have a knit pattern for a fairy coat that I love. 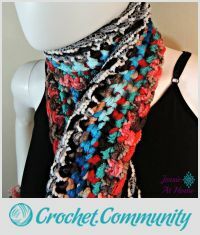 It would be awesome to make a crochet version, and I keep saying I will, but I can never find the time! Scheduling!! It’s so hard to stay on top of everything. I found a great online scheduler for bloggers that has really helped me a lot, but it’s still something I struggle with. I really just need a TARDIS. Never be afraid to rip it out. I’ve seen too many people finish a project and then never wear/use it because there was a mistake and they are embarrassed. So if you don’t like it, or you made a mistake, just rip it out and fix it. Life will go on, and you will be much happier. 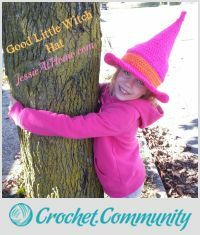 Thanks for sharing your crochet story Jessie. Hi, have made the superhero star cape a couple of times, just love it, I have now been asked by a friend to make one for a New born, did use 4ply for one & obviously it came out smaller, but not small enough for a tiny one! Any ideas?